Should you use or learn jQuery in 2019? It should be noted that jQuery was not the only or the first library. Other ones were very popular at the time, like Mootools, YUI, Dojo Toolkit, Scriptaculous and Prototype. jQuery probably became the most famous of those, later on. Browsers at the time had a lot of interoperability issues. We had lots of cross-browser quirks and standardization issues, and jQuery helped us by creating an abstraction layer and taking care of al the workarounds. 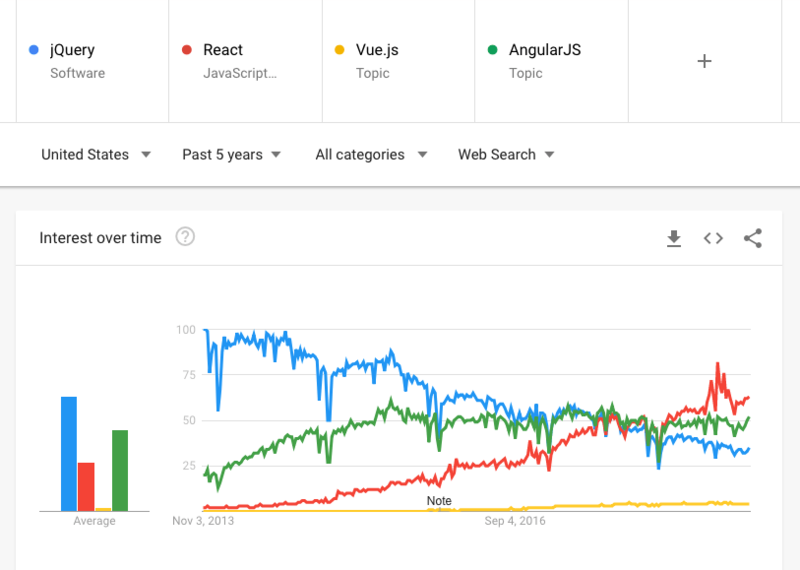 It also helped simplify working with AJAX (and its cross-browser differences) at a time when this term was super popular, and this also gave jQuery a nice boost in term of popularity. Today, we don’t have a lot of browser compatibility issues, and the Selectors API and Fetch standardized to the browser two of the best features of jQuery. jQuery is certainly a topic full of debate. Some people say jQuery is a relic of the past, some people still use it day to day. Some people spend their time writing about why we don’t need jQuery. jQuery animations can now be done in the browser using CSS Transitions or CSS Animations. Should you use jQuery in 2018? Let’s answer the question that this article poses in its title. If you don’t already know jQuery, is it worth learning in 2018? In my opinion jQuery should not be used any more in new projects that only target modern browsers, and of course if your project relies on it for some particular reason, or just because you use plugins or other code that needs jQuery, definitely keep using it. Some libraries also have a dependency on jQuery, like Bootstrap. You might also buy ready-made templates that just use it and its plugins. You might also not have the luxury of use the latest cool tech (like React or Vue) because you are required to support old browsers, that have an older set of standards. In this case, jQuery is still hugely relevant for you.